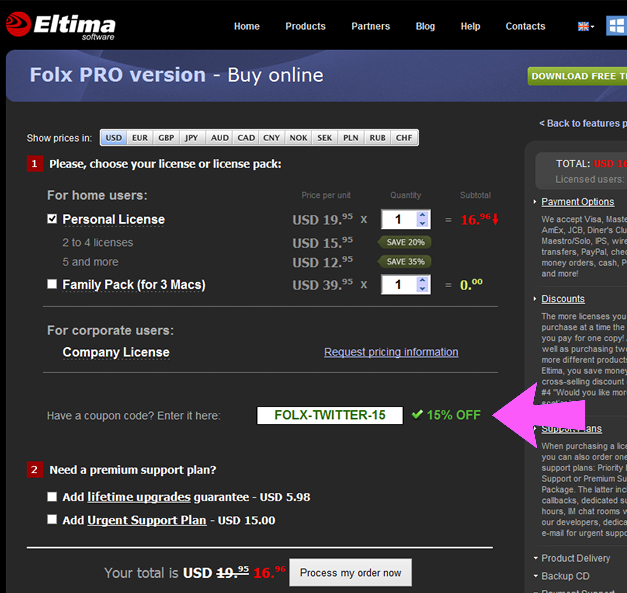 Get 15% off your order of Folx Pro when you use coupon code “FOLX-TWITTER-15” when ordering through Eltima.com. Plus, you can save an additional 20% automatically if you buy 2, 3 or 4 licenses together or an additional 35% if you order 5 and more. 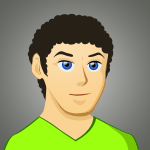 You’ll also receive free standard email support and qualify for the future upgrades at up to 50% off the list price. Code expires April 15, 2019. Save 50% when upgrading to the newest Folx Pro if you currently own an older version. Those that originally ordered the upgrade protection plan will be able to qualify for free future upgrades. Remember, all orders are automatically processed as “digital” versions meaning that you download your purchase after checkout. If you need the physical disk, there is an option to purchase the CD for an additional charge. No extra coupon codes are required. 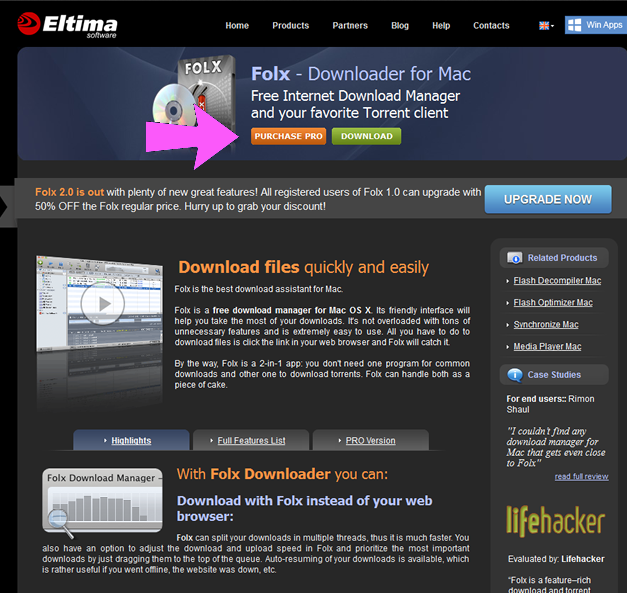 If you haven’t yet tried the Folx download manager for Mac then you’re missing out on one pretty cool tool. Because their app is a 2-in-1, you don’t need to have separate ones to manager your common downloads and others to download torrents. 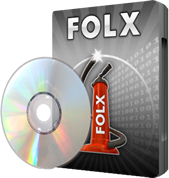 Folx is free for unlamented use, however you will need to upgrade to the Pro version if you want to have faster downloads, use the built-in torrent search, and have RSS and iTunes integration. How do I use a Folx Pro coupon? Whenever we states that a coupon code is needed to activate the discount, just follow these steps to apply the special savings. Step 1 – Copy the code exactly how it appears next to the deal that you want to use. Be sure to copy it exactly how it appears and without the quotes. Step 2 – Follow the “get this deal” link and you will be taken to the Eltima.com store. If you are already at Eltima.com, select the “purchase pro” link. Step 3 – Find the “Have a coupon code? Enter it here” box and paste in the code that you copied in Step 1. Once it’s entered, you should see the new pricing reflected at the bottom of the page with the original price crossed out. If for some reason this does not work, be sure to check the code again to see if it was entered properly. You can also try changing the license configuration as not all coupons will work for all license packs (some already have a volume discount included so no additional price reductions can be used). Step 4: If everything looks good and you have all the right selections checked off, then simply follow the “process my order” link to finalize your order.